Next on The Scoop: Halloween Cat Costumes: Crazy or Crazy Awesome? ThereÔÇÖs a lot more to those cute little feet than razor-sharp claws. Learn about color, walking style, communication, and more. You might think of your cat’s paws in the same way you think about your feet: They’re for standing and walking and not much else. But your cat’s paws are engineered to help her be the best predator she can be — and, of course, for maximum cuteness, too. 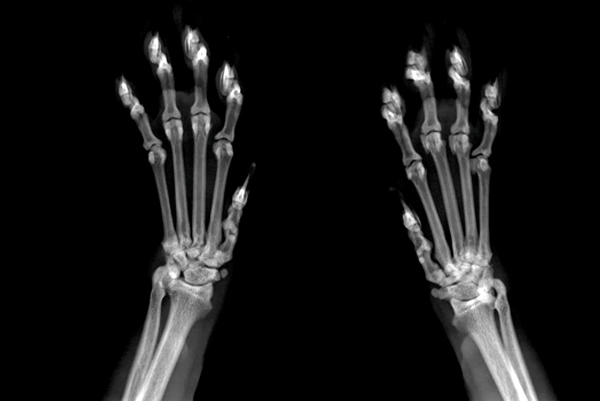 Here are some things you should know about cat paws. Your cat is a digitigrade walker, which means that instead of walking on her heels and the balls of the feet like we do, she walks on the balls of the feet and the fingertips. The small size of her paws and the softness of her pads make it easy for her to move silently through all kinds of terrain. The skin pads on your cat’s paws are strong enough to offer protection from punctures when she’s walking on rough terrain, but they don’t offer much insulation against extreme temperatures. Why? Because nature made a trade-off so she can hunt effectively: Her paw pads are loaded with touch receptors that allow her to evaluate the texture, location, and liveliness of her prey. 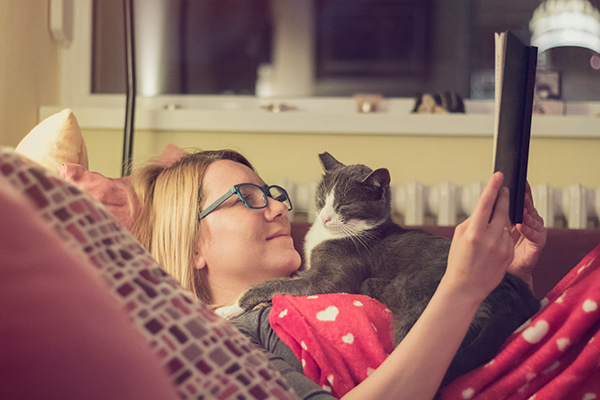 Another effect of your cat’s exquisite sensitivity to touch? She can very quickly detect how hot or cold a surface is. Cats have glands tucked between their paw pads that secrete oil with a scent only cats can detect. 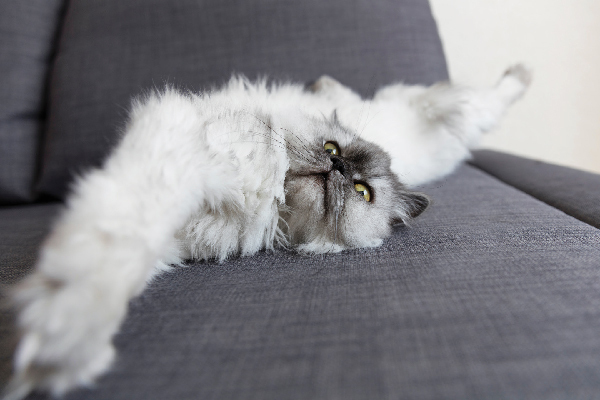 When your cat scratches a surface such as a scratching post, a tree, or your couch, she deposits some of her scent — almost like a graffiti tag that reads "Fluffy was here!" If you’ve ever taken a nervous cat to the vet and seen little paw marks on the exam table, that’s your cat’s sweat. 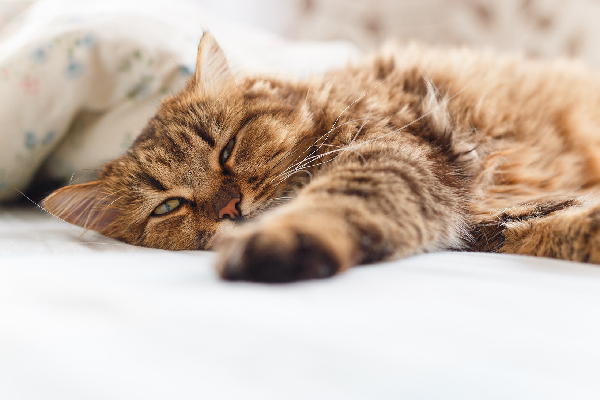 Not only do the sweat glands on their paw pads help them keep their body temperature balanced, the glands go into overdrive when a cat is very anxious. 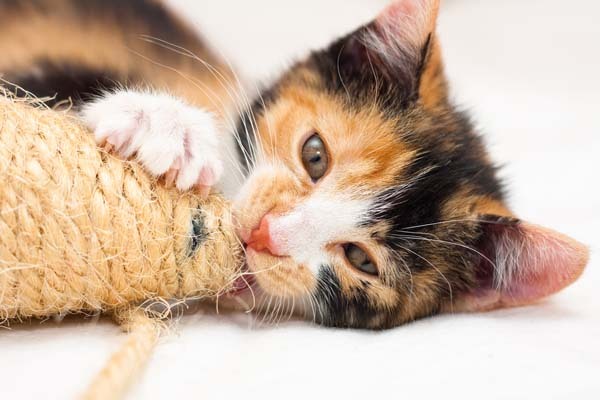 The pigment that colors your cat’s fur also colors her skin, so when you look at your cat’s paw pads, you’ll see that they’re often the same colors as your cat. Black cats have black pads, gray cats have grayish pads, orange cats have orange pads, and when it comes to multicolored cats, anything goes. My gray tabby and white cat, Thomas, has four black pads and one white pad on his front feet, for example. What color are your cat’s paw pads? 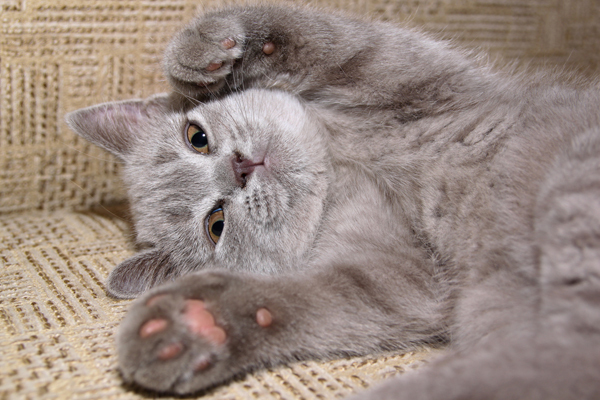 Do you know of any other cool facts about cats’ paws? Let us know in a comment.